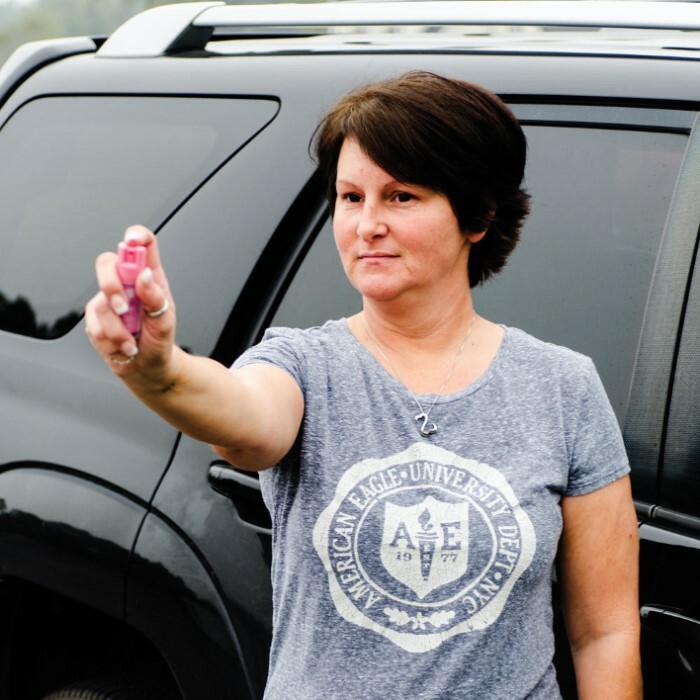 This Pink edition of Sabre Red Pepper Spray will take down an assailant hard and fast. The effects are immediate and severe, creating a burning sensation in the eyes with copious tears, coughing and difficulty breathing. The eyes close involuntarily, the nose runs, and moist skin stings. One shot causes instant panic and agony! Fast, Simple, Easy to use. No marksmanship necessary. Safety collar protects against accidental misfires. Please note: All pepper spray products are stored within a pressurized canister and should not be exposed to extreme heat. The canister may burst if exposed to fire or temperatures above 120 degrees Fahrenheit. The same is true of products packaged in a similar way, including aerosol hair spray, cans of compressed air, and even cans of soda. We do not recommend storing this product inside of your vehicle, including the glove compartment, as temperatures inside of vehicles can exceed 120 degrees Fahrenheit. S&W Pepper Spray With Flip Top 4 oz. I purchased this for my wife. The size is compact which of course is always a plus and over all a great product. Certainly will have an attacker in tears and down. The only thing that really could be improved is the trigger lock on this item. The trigger on it as is is just a side slide lock but it can really easily be unlocked in ones pocket.